Yes, we know that you've tried many free data recovery tools. But in our experience, freeware just don't cut it. There are times when we run a recovery program on our PC, only to find it doesn't support Windows 10. Not to mention that hours' scan found nothing - you feel the frustration? We did. That's why when it comes to choosing the best data recovery software for recovering deleted or lost files from storage media like PC hard drives, USB sticks, memory cards, etc., we're bound and determined to find out which provider offers the most value. In our opinion, five major components make up a great Windows data recovery program, and those are 1) Security, 2) Quality, 3) Ease of use, 4), Compatibility, and 5), Technical support. We'll cover why these five factors matter in this review later, but here are the top recovery programs that won the test and earned our trust (updated for 2018). Please note: these programs are for Windows PCs only. If you use an Apple Mac computer, see the best Mac recovery software we've reviewed. Also, check out our recommended tools to retrieve files from iPhones, iPads, or Android phones and tablets. Note: The software listed below work only when your PC can start up normally. If it fails to start or crashes during startup, try EaseUs Data Recovery Bootable Media to recover your lost files. **Below, you'll find our expert reviews, but you can also click the links above to get the software and start retrieving your lost files right away. Data Recovery Software: What to Look for? Whether it contains malware. This is always the number one thing we check to make sure a downloadable file (in .exe format) does not include any malicious process. We ran Norton Security and MalwareBytes to test whether the program is safe to use. We also uploaded the downloadable file to VirusTotal — a free service that analyzes suspicious files and detect viruses, trojans, and all kinds of malware. Supported file types. If you accidentally formatted a hard drive or a digital media card, you want all your files (pics, video, songs, etc.) back, right? Therefore, the file rescue tools should support recovering as many types of file types as possible, so you don't have to try other alternatives. Supported storage devices. We have to admit it, many programs actually don't support recovering files from external devices. Therefore, they are useless if you need to get files back from a flash drive or an external drive (see our best drives for backup). We all know these days file loss happens more often on removable media than on PCs. Time required to complete the scan. We understand the anxiety even panic, when users realize they've deleted something important to their life or work. Obviously, you don't want to spend the whole day simply waiting for a drive scanning process to complete. The program should perform high-speed scanning, or offer flexible scanning modes for end users to choose. File preview & quality. When the scan process is over, the program should be able to allow users to preview thumbnails of found files, because this helps you to quickly check if they are the items you want to bring back. Also once they are recovered, quality of recovered files should be identical to the originals. Usability is another factor we take into account in evaluating whether a recovery software is worth trying. Because end users of this kind of computer programs are usually not tech-savvy. The easier and simpler the software interface is designed, the better a user is able to handle it. A program does not have to be well-decorated with fancy icons, but it has to offer a decent UX (User Experience). Given the complex nature of backup and recovery, some instructions or warnings should be given before users intend to select or click any buttons. Also, software crash is unacceptable, though it's hard to develop a bug-free program. At the end of the day you get everything ready, you don't want to see the software doesn't work as it's advertised due to frequent crashes. This is also an indicator whether a piece of software is poorly developed or truly great, which is surely worth exploring in our tests. This factor directly reflects if the software is being maintained and kept up-to-date. Not only an outdated program has compatibility issue running on latest Windows operating system (as of 2018, it's Windows 10), but we suspect it would have security concerns as well. Bottom line - a good PC file recovery software should be compatible with common Windows OS, including the latest Windows 10. Backup and recovery may sound easy, but it's actually very hard because the process involves lots of advanced computer expertise. A well-designed computer program usually costs a team of developers hundreds (if not thousands) of hours coding. It's common that end users may have questions or encounter issues during the process. It would be of great help if the developers/providers can extend their support via email, live chat, or by phone, etc. Also, we give more weight to those programs that offer troubleshooting tips and tutorials on their official websites. We've tested dozens of recovery software and come up with the following seven best options. Due to the nature of data backup and restore, and the complexities of data loss scenario you're facing, your results may vary. Also, it's worth noting again, that if your PC has crashed or is unable to start, we recommend EaseUs Data Recovery Bootable Media. Stellar Windows Data Recovery is our top choice thanks to its comprehensiveness and great support. It features recovery of nearly 300 file types (Outlook emails included) from any NTFS, FAT and ExFAT based storage devices. The best part is that with Stellar Phoenix, you can save and resume a scan image, which means you don't have to sit in front of your PC waiting for the scan to complete if the partition is large (e.g. a 1TB external drive); Instead, you can save scan progress and resume whenever you want. Stellar Phoenix offers excellent technical support via knowledge articles, emails, chats, and phone calls. Remo Recover Windows secures the second place of our best data rescue software recommendations. 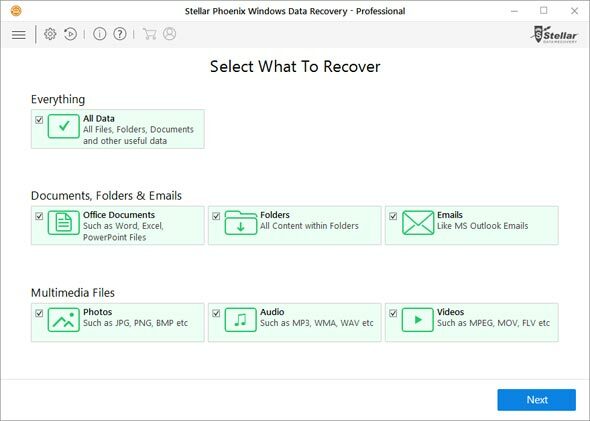 It's nearly as powerful as Stellar Phoenix, as reflected in these three standard modes: Recover Files, Recover Drives, and Recover Photos, which are listed on the main interface of this program. We highly recommend photographers and videographers to try this rescue tool if you have some specific media files to recover from your digital camera (memory card). Remo offers tons of useful information such as tech specifications and video tutorials on their site. If you have any questions or concerns, you can also send an email or have an online chat with their support team. ​EaseUS Data Recovery Wizard is also one of the best recovery programs for Windows. It was primarily designed for advanced users to rescue inaccessible files from RAID storage or damaged media, but the recent upgrades also make it perfect for basic users to recover files deleted from PC or external drives as well as from raw, corrupted or non-mounting partitions. We put it in the third place because we still think it's more suitable for professional use. If you are a computer technician and wants to rescue files for a client, you won't go wrong with EaseUs. Also called Data Rescue PC (originally), this program is developed by the world's known Prosoft Engineering, a software development company based in Livermore, California since 1985. 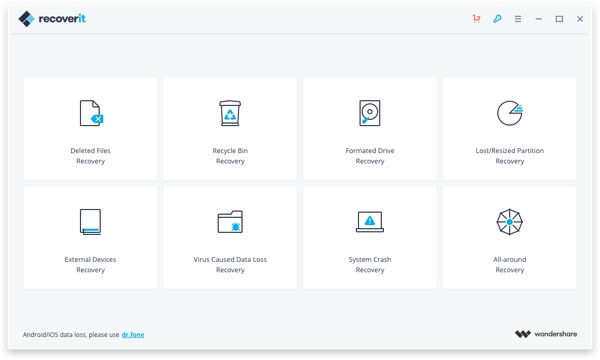 Prosoft has been focusing on data backup and recovery solutions for decades and without surprise, their PC data recovery program is featured as one of the best here. You can also check out ﻿this deal's page for saving the money. Prosoft offers live chat and email for customer ticket support. 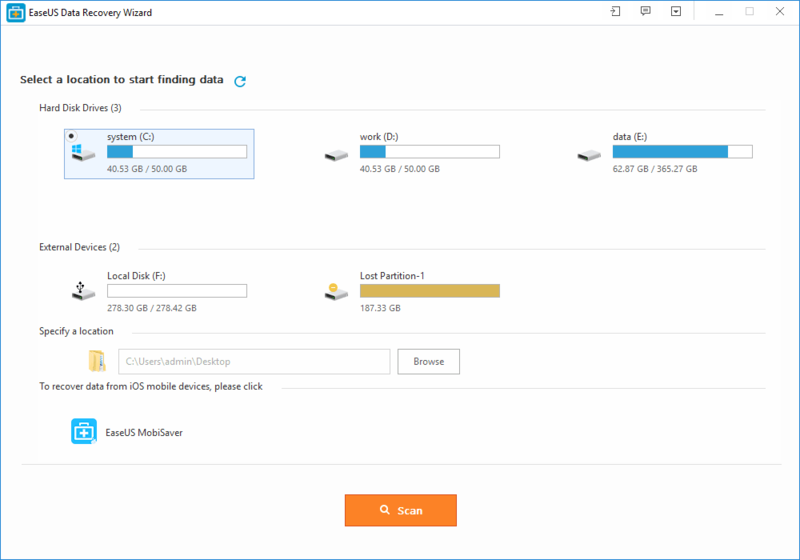 recoverit, the rebranded version of Wond﻿ershare Data Recovery, claims it's capable of recovering 550+ file formats (documents, photos, videos, audio, emails, archives, etc.) from both internal PC hard drive and external storage devices. While it's unrealistic for us to prepare so many files to test, we tried our best. We are not impressed by this program because it froze on scan and the remaining time wasn't accurate. What we like about it is its ease of use. It has a friendly guide once you launch the program, until you come to this four modes (see the image above). Wondershare offers many useful help tutorials, and their customer service (via emails) is prompt and professional. Easy Drive Data Recovery is another great option. 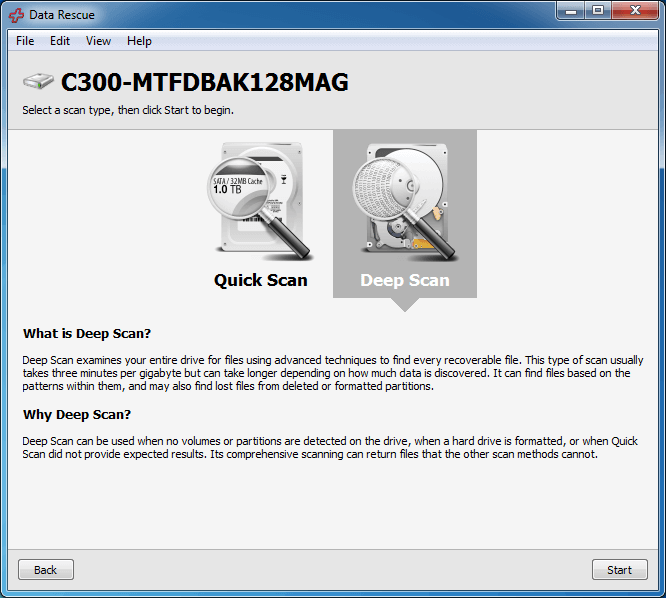 Like its name indicates, it's a tool aimed at recovering deleted or lost files from disk drives (e.g. USB key, external HDD, etc.). Munsoft, the maker, claims that the program supports recovering about 100 file types. Compared to the above recommendations, it's less powerful. But the program stands out in its multi-language support. It's one of the few tools that incorporates five languages (English, French, Spanish, German, Turkish) into its interface, which makes it a breeze if you are a non-English speaker. They offer customer support via emails. 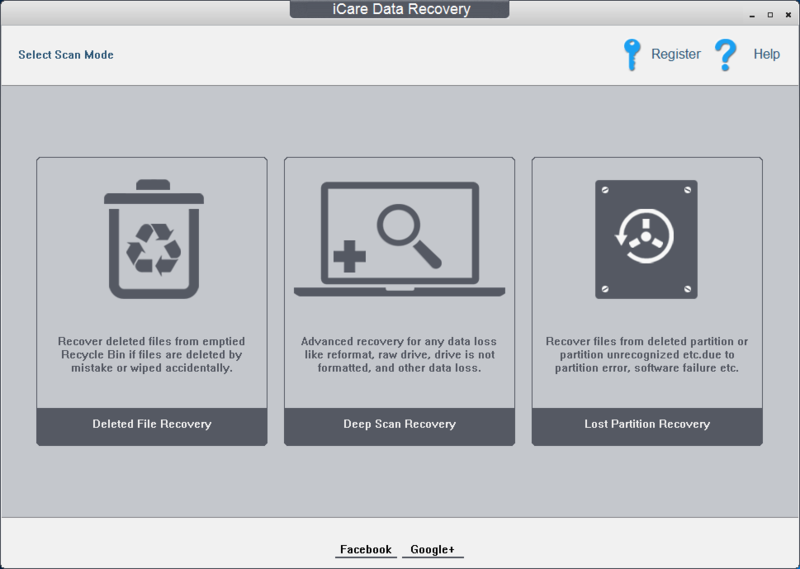 iCare Data Recovery is another nice solution. What we like about the program is its user interface design which makes the scan and recovery process simple. The three main recovery modes are self-explanatory: Deleted File Recovery, Deep Scan Recovery, and Lost Partition Recovery. It's a good program, though not as powerful as its competition, as it failed to retrieve JPEG images in our test. Learn more from this review. Nevertheless, we recommend it if you need to recover documents or rescue documents from problematic hard drives. ParetoLogic Data Recovery Pro is very simple to use, and allows you to recover deleted files and emails after a quick or full scan searching for recoverable items. It supports a variety of storage media including but not limited to hard drives, removable disks, iPods. The program isn't that powerful compared to top winners listed above, but it's still a good option worth exploring just in case. ParetoLogic has a standard help documentation within the application and offers email services for technical/customer inquiries. Disclaimer: this best data recovery software review is primarily based mostly on (1) our experience in using and testing the programs and (2) the expertise of the experts with whom we consult and (3) the information provided by the manufacturers. We strive to test each feature of the recommended tools above, but we are unable to test them all due to the complex nature of disk backup and restoration. As such, please remember that these recommended tools are our opinions, and we encourage to contact technical support of respective providers or computer technicians to handle your data rescue needs if you are not skilled or comfortable to deal with the situation. Thanks for sharing your views, can you suggest best software particularly for Video files recovery? Also I’m wondering if any of these support recovery to a second external HDD as my internal HDD isn’t big enough to recover my corrupted HDD. I own a Stellar recovery from more than a year ago, I downloaded a new version preview and the interface and maybe other things have changed from what you show. Well, Remo recovery did the job. I had a deleted partition and Remo Recovery retrieved the file structure and the files in it. All files were readable. Good to know. Thanks for sharing that with us. I want my fomated data which is in old window. And I installed new window on same drive(drive of important data) so please help me.